From Wall Street to Honolulu, pick a city, any city and occupy it – Straight from NY to Paradise in a Day!!! The occupy movement which started on wall street, eventually has made its way to Honolulu. It is interesting to hear that there is an actual occupy Honolulu movement. Protests in paradise, just doesn’t have the same feel as a New York protest. If I was in New York I may head down to wall street to witness this aspect of American History. In Honolulu, I am headed past the protest, straight to the beach. 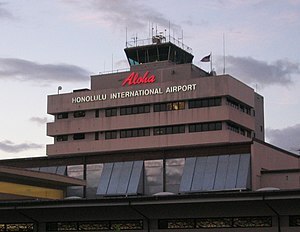 Honolulu is known for its tourism, it is a vacation destination. People usually don’t go on vacation to join a protest (at least I don’t think so). If you happen to live in Honolulu, you live with Aloha, and you still are unlikely to join a protest. Needless to say, the Occupy Honolulu, Hilo, or Maui movements, will never get as much coverage as occupying Wall Street, or DC. Because Honolulu is so far away from the mainland, it can be difficult at times to connect to the issues of the nation. With a large amount of ocean water, and a 6 hour time difference from the east coast, the mainland can feel like another country some days. If anyone truly sees all of Hawaii, you will see that much of Hawaii is filled with the 99%. It would be surprising if anyone in the 1% actually lives on one of the Hawaiian islands, my feeling is that they just come here as a lavish vacation destination. The occupy Wall Street movement was started on a good basis. To bad the basis hasn’t yet reached a consensus. With everyone having a different reason to occupy any city, the 99% actually looks like a joke to the top 1%. The top 1% should earn money, you work hard earn money. But don’t expect bailouts and government handouts. The inequality in taxes is disturbing. There are truly reasons to protest. But are the protest being heard? Is anything really going to change from these protest or will the movement become yesterday’s news? 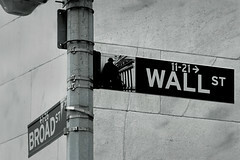 New York winters are harsh so I don’t expect the Wall Street protesters to be out there much longer. Sleeping in tents in the winter will never sound like much fun. Maybe some of them can come to Honolulu for the winter, and occupy the streets of paradise. With more people, the occupy Honolulu movement may get some positive attention. Without the people, it is a sad picture of a movement. With APEC starting, I’m sure more people will be out for the protest. I still am not sure what they are protesting, but I will let you know when I find out. Let’s start making signs, and put Honolulu on the map. We are more than just a vacation destination. Honolulu is also a city that is down to fight for the cause. Is this what it was like in the 1970’s?